Hear your favorite music libraries on our new Affiliate Music Store,where the users can enjoy their lovable music collection ofsongs with featured albums in our single storefront. This script is made with user choice where the user’s favorite music isautomatically added to the music album library listings and the user can enjoy the favorite music’swhich are displayed on the slide. The music is the necessary one to relief from stress, in this digitalized world people don’t have time to take rest and hear some leisure music from their place, and here we bring the solution for that by introducing our advanced Automated Music Store Themescript for the music lovers. The iTunes Affiliated Music Store Scriptis developed with multi-language support for the users to enjoy the music. The user can view the clear display of the navigation menus, andsite structure. In the center of the home page, they can find the slides of the Top Songs, Top Music Videos and Top Albums which is made convenient for the users to access the site without any technical help or support. The music store has unlimited music categories and albums listingsfor the users to hear the music from the music library. 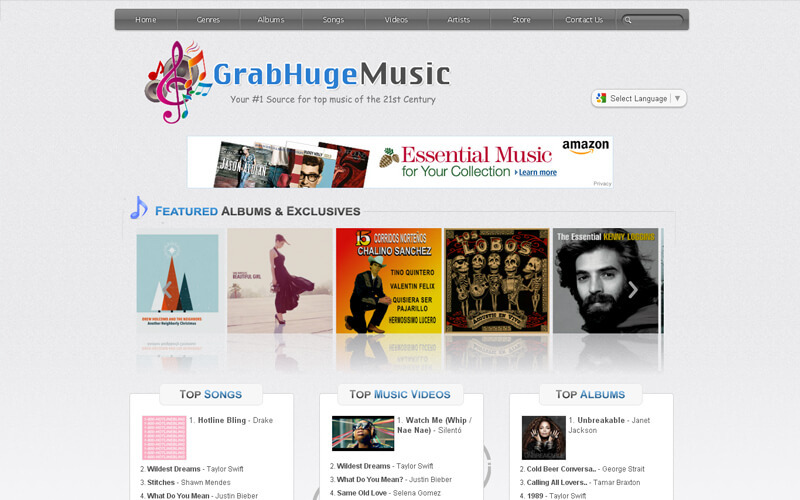 In this Affiliate Music Store,the user can also have thesearch option for searching down the music. The song management can be viewed by the user where the user can play the required song by viewing the details of every song like artists, album details, review etc. The user can buy their favorite songs by using our advanced options and integration with iTunes and Amazon. The users can also share the music with their friends through the social network like Facebook. This Automated Music Store Themehas the best commercial music store menus for the users to access the unique functionality of the site. The admin can get the profit by using the revenue model like abanner advertisement, Google ads etc, in the site. The admin also has the major responsibility to manage the entire site by managing the general settings, user management, and media management etc. TheiTunes Affiliated Music Store Scriptis customized with the user-friendly best quality web design user interface, this site is developed with open source php platform, payment gateway integration, and brand free site. The script will be live in 24-48 hrs from the purchase time, we have clients all around the globe with 450+ readymades clone script. In addition, we provide 1-year technical support, 6-month free update, and bug-free code. I’ve checked your music store script and been impressed with a quality of your work. Design so modern and code so clean! Guys, you’re rocks! I hope we can start a new level of incomes together. Beautiful music store! Loving the look, well done! Easy to install and definitely does the job. Grateful!